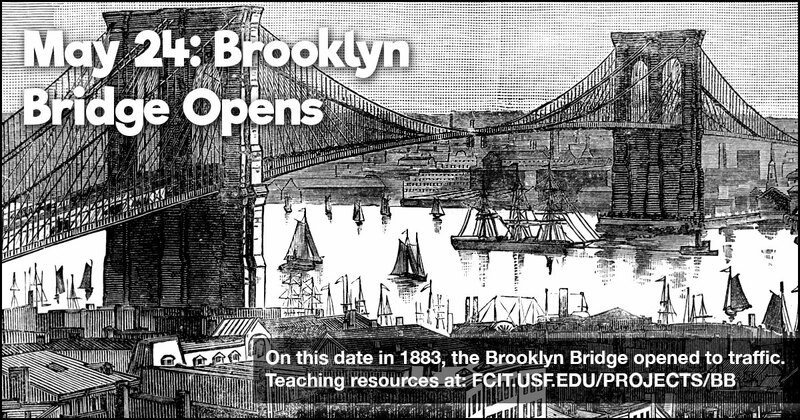 On this date in 1883, the Brooklyn Bridge in New York was opened with a great celebration. President Chester A. Arthur and New York Governor Grover Cleveland were among the first dignitaries to cross the span. 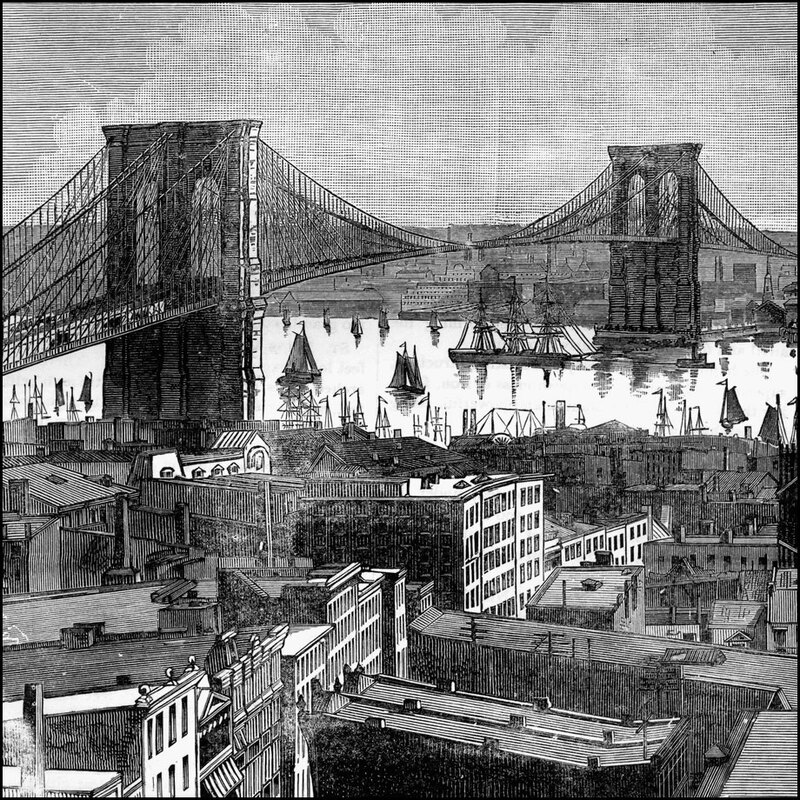 With a central span of 1,595 feet, the Brooklyn Bridge was the longest suspension bridge in the world until 1903 when the nearby Williamsburg Bridge was completed. Use this banner on social media to share our collection of teaching resources related to bridges. 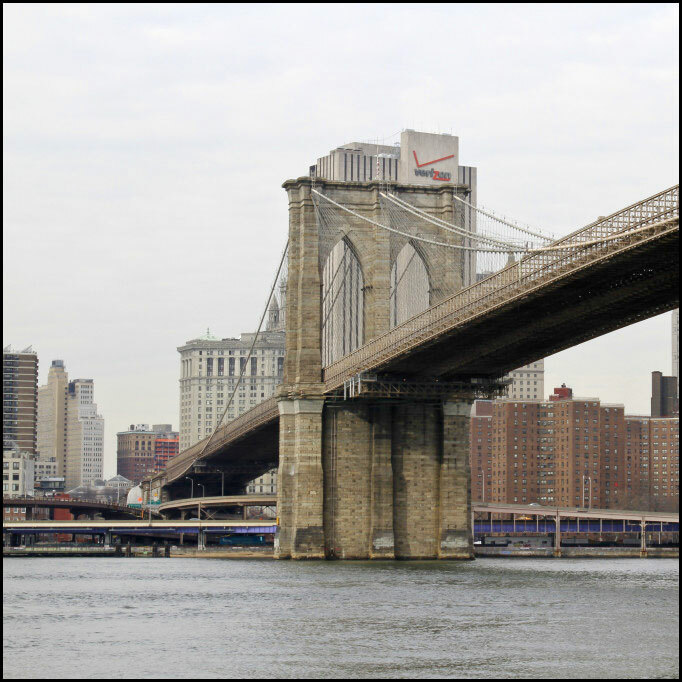 Brooklyn Bridge from the ClipArt ETC website. 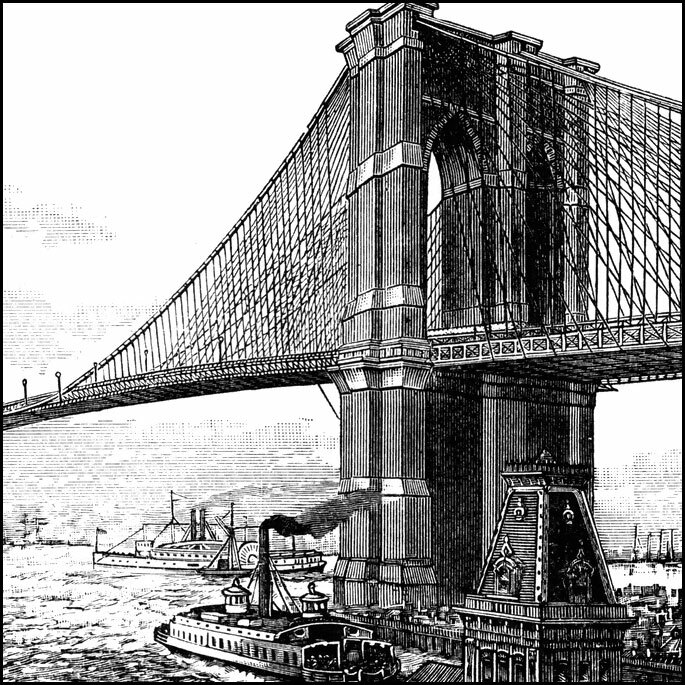 Until 1915, when the Brooklyn Bridge was officially named, it went under several names including the East River Bridge and the New York and Brooklyn Bridge. Illustration from the ClipArt ETC website. 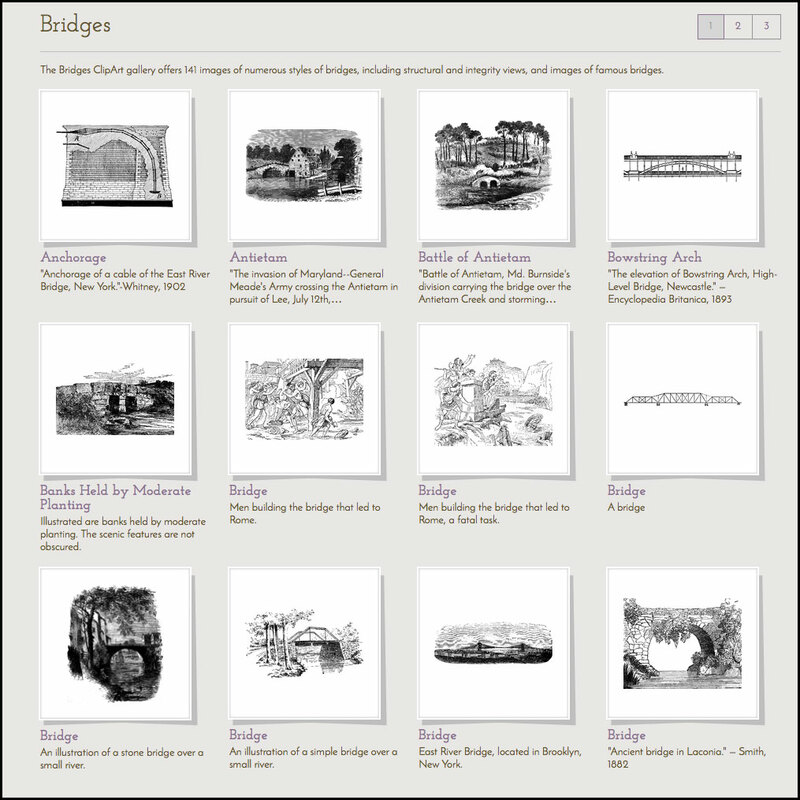 Over 140 bridge illustrations from the ClipArt ETC website. Photo of the Brooklyn Bridge showing maintenance work in 2011 from the ClipPix ETC website. 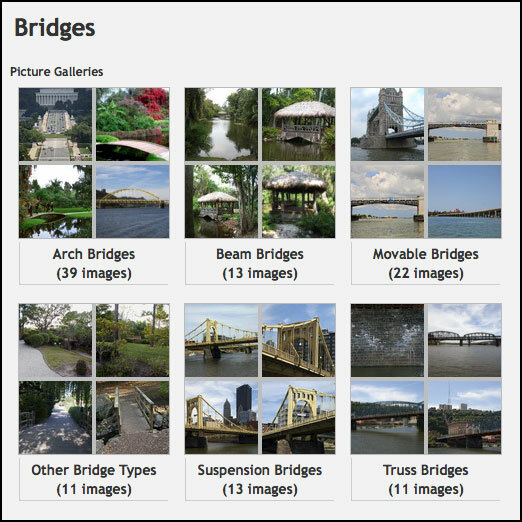 Over a hundred photos of bridges arranged by type from the ClipPix ETC website. 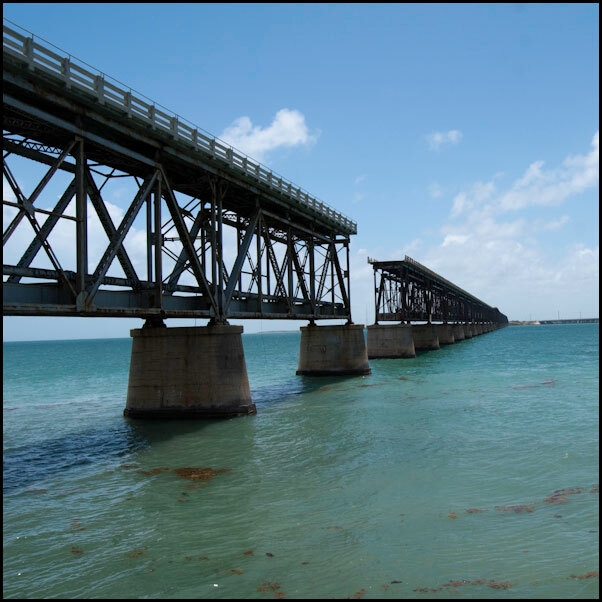 A gallery of photos from Bahia Honda State Park including views of sections of the Florida Overseas Railroad which once connected the mainland through the Florida Keys all the way to Key West. The bridges were damaged in a 1935 hurricane. Gallery on the Exploring Florida website.